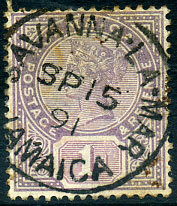 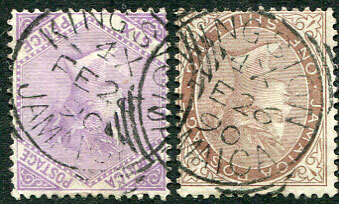 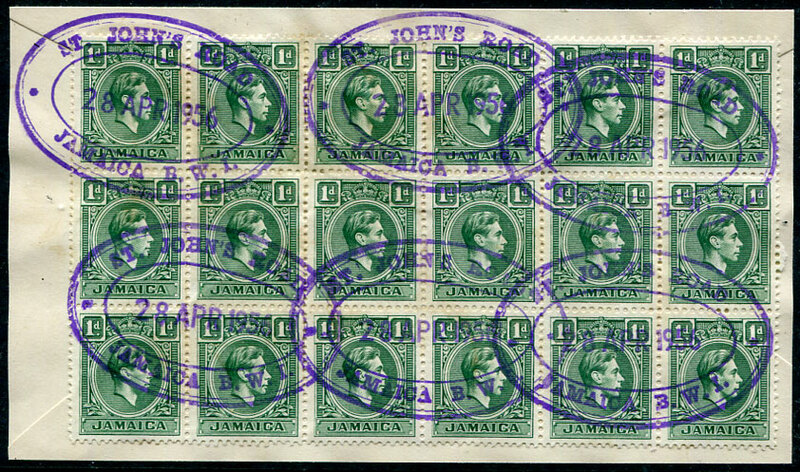 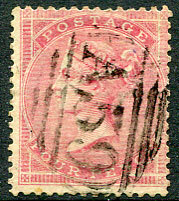 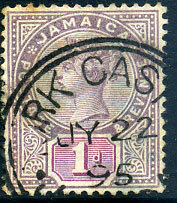 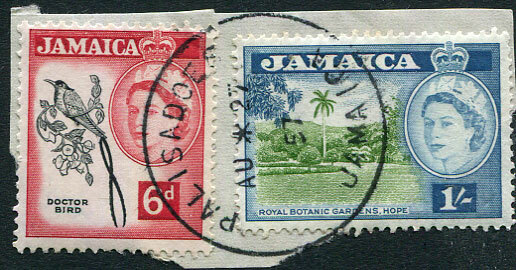 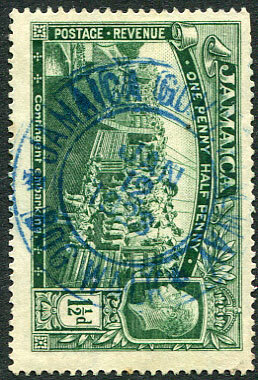 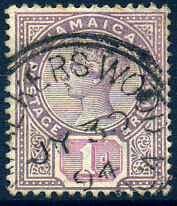 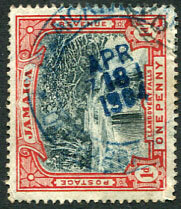 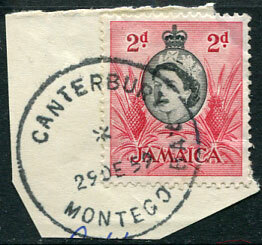 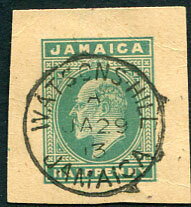 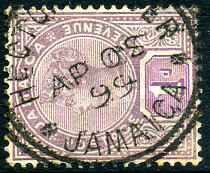 1897 three colour combination piece with 3/2½d rate paid with QV 2½d, 1/-, 2/- (SG.24,25,29) tied Kingston 6X/OC 12 97 d/rings. 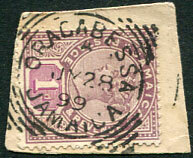 (D/R) 22 DE 99 on QV ½d (SG.16). 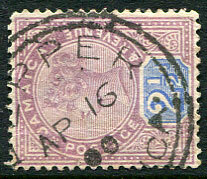 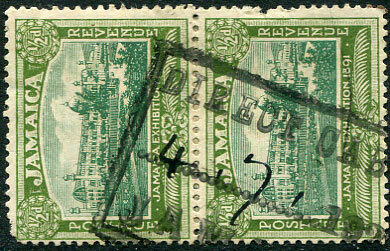 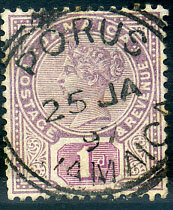 (D/R) AP 16 00 on QV 2½d Keplate (SG.29), minor or insignificant creasing. 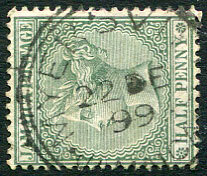 (D/R) DE 10 94 on QV 2½d Keyplate (SG.29) fragment. 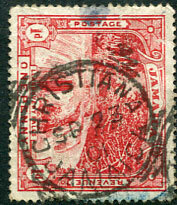 (D/R) MR 5 01 on QV 2½d Keyplate (SG.29). 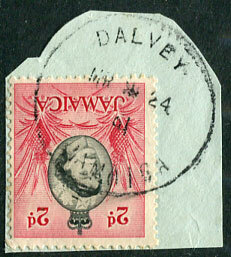 (PP?, narrow O in G.P.O.) 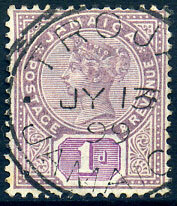 MY 3 24 on 1/- Statue (SG.102). 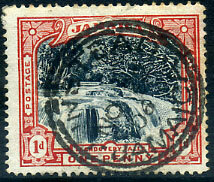 (CDS) JU 11 01 on 1d Falls (SG.31). 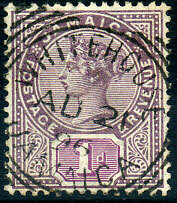 (CDS) A/AU 30 01 on QV 2½d Keyplate (SG.29). 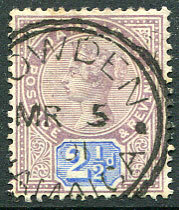 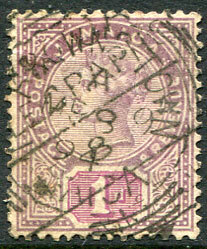 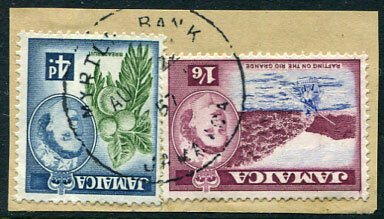 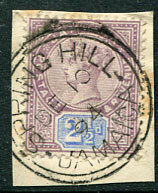 (CDS) NO 12 94 on QV 2½d Keyplate (SG.29). 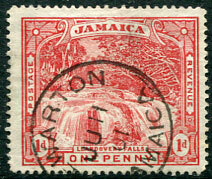 (D/R) 7 JY 02 on 1d Falls (SG.31). 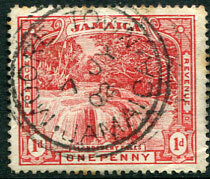 (SQC) on 1d Falls (SG.31). 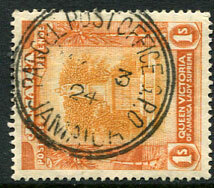 (SQC) MY 15 02 on QV 3d CA wmk (SG.21). 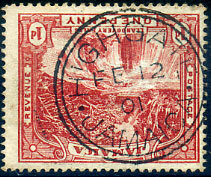 (D/R) FE 12 01 on 1d Falls (SG.31). 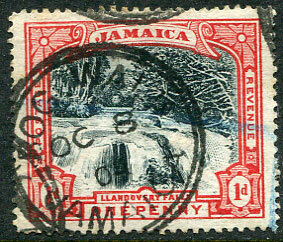 (D/R) OC 8 04 on 1d Falls (SG.32). 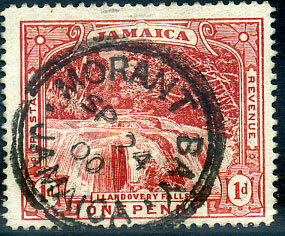 (D/R) NO 22 06 on 1d Falls (SG.32). 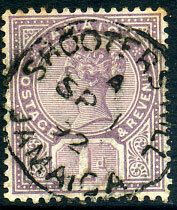 (D/R) SP 24 00 on 1d Falls (SG.31).